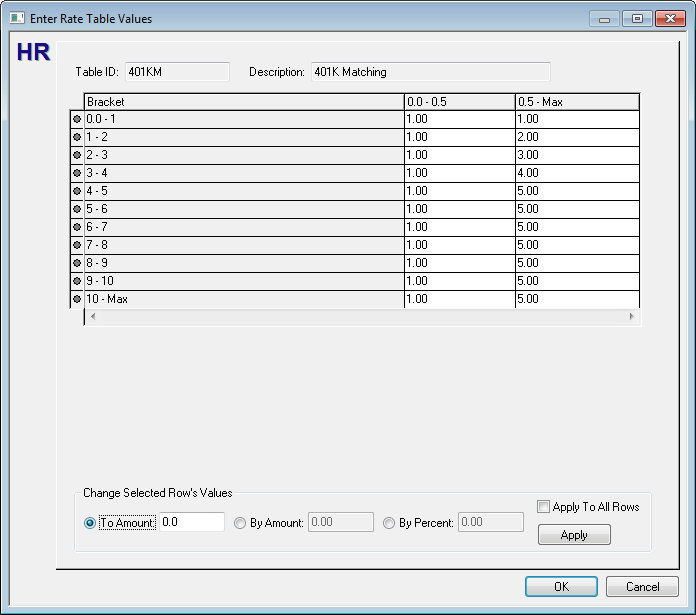 Re-open the just created rate table "401KM"
Using the example maximum employer match of 5%, enter values in the columns. Please refer to the screenshot to the left by clicking on it. Let's move on to Step 7.